» No bank angle warning? » Best to stick with V4.3? The new KC-135 Stratotanker package for FSX and P3D. Multiple models and liveries, internal cabin and more! The republic XF-91A Thunderceptor. 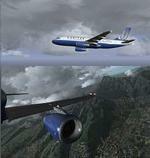 A high spec, high quality aircraft for FSX and P3D. Fantastic modelling and detail! 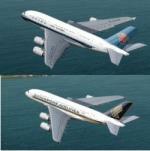 2 of the most beautiful aircraft ever produced for FSX/P3D. The Republic XP-47J and XP72. Thanks again to Milton Shupe and team! Lockheed Lodestar, C-57, C-60A, HMS Bounty and the Beechcreaft D-18S. More freeware classics from Milton Shupe! Thank you Milton! Join our friendly discussion boards for Support, Advice, FAQ's, Tips & Suggestions! Streamline your Sim experience, resolve that frustrating problem, learn how to create new aircraft, view fantastic screenshots & much more!